Templestowe Valley Preschool has been an integral part of the Templestowe community for more than 40 years. 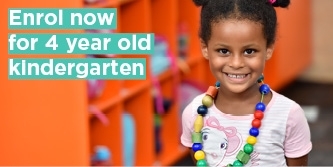 Our team of nurturing and experienced educators deliver high quality and inclusive three and four-year-old kindergarten programs that help each child realise their potential. Educators will partner with you – your child’s most important educator – to develop a play-based learning program that builds on your child’s interests and capabilities. In turn, your child will develop vital social, emotional, physical, language and cognitive skills. Even more importantly, our educators will ensure your child is safe, secure and happy while in our centre. Engaging and welcoming indoor and outdoor play spaces filled with plenty of natural resources to support learning. Strong connections with Templestowe Valley Primary School, helping children transition well to school. Children learn how to care for their environment from an early age via our sustainability programs. Extended hours for both three and four-year-old programs amplifies children's learning opportunities. Play is the best way for children to learn. 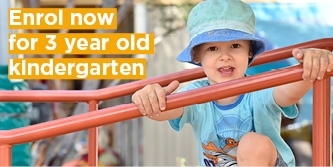 That's why at Templestowe Valley Preschool, your child's learning program will incorporate a variety of open-ended and structured play-based learning experiences. Activities will be guided by your child's interests and capabilities, ensuring your child gets the most out of their early learning experience. These play-based activities will help your child develop important social, emotional, physical, language and cognitive skills. All our learning programs are based on the National Early Years Learning Framework “Belonging, Being and Becoming” and the Victorian Early Years Learning and Development Framework. Our kindergarten room is filled with an abundance of natural light, providing a bright and welcoming learning environment. Our newly furnished room features an open-plan design that enables educators to set up flexible play experiences that foster children’s imagination, curiosity and exploration. Your child’s program will be delivered by Templestowe Valley Preschool's experienced, passionate and nurturing educators. Our educators are wholly committed to ensuring each child receives the best possible experience at our centre. Educators will work in partnership with you – your child’s most important educator – to develop an early learning program that reflects and builds on your child’s interests, curiosities and skills. Educators will also recognise and celebrate your child's unique background and culture, incorporating these into their early learning program. If your child has additional needs, our educators will work with you to ensure your child gets the most out of their early learning experience. Our educators can also connect your family with specialist support if required. 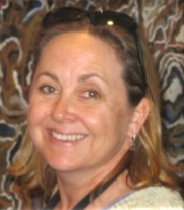 Hi, I’m Lee Heywood Thiele, the Nominated Supervisor at Templestowe Valley Preschool. I started my career as a qualified early childhood educator, working in child care centres as a room leader and centre coordinator for many years. After having my children, I worked in sessional kindergartens offering educational programs for children aged three to five. Teaching is my passion, so I have returned to study on various occasions to upgrade my qualifications, most recently to a Bachelor of Early Childhood Education in 2012. I have been a happy employee of ECMS over the previous three years and was pleased to join the Templestowe Valley Preschool teaching team earlier this year. I thoroughly enjoy my work. I love that I make a positive difference in children’s lives, that I can influence their love of learning, an appreciation for nature and assist in developing social skills in preparation for life's ups and downs. I enjoy a great sense of satisfaction in supporting both parents and children and in particular observing children succeed.